Since the first arrival of the automobile a century ago, the number of cars has rapidly increased around the world and our social lives have become more dynamic than ever, but the parking spaces are still limited. Finding available parking around urban, corporate and commercial areas is a daily challenge for many. Exceed Construction Co. the Sole Agent in Kuwait and Egypt for DYPC, the innovative Korean manufacturer, address this issue with a range of automated parking solutions to fit every need. Whether projects are indesign, under expansion or existing, we have a solution. An automated mechanized (rotary type) parking system that can be ideally installed in condesed urban areas to provide a quick and reliable solution to parking problems. It's ease of use, convenient space preserving capabilities and quick 5 day installation procedure makes it a handy solution for a pressing issue at any location. Learn more about our Sedan and SUV series. 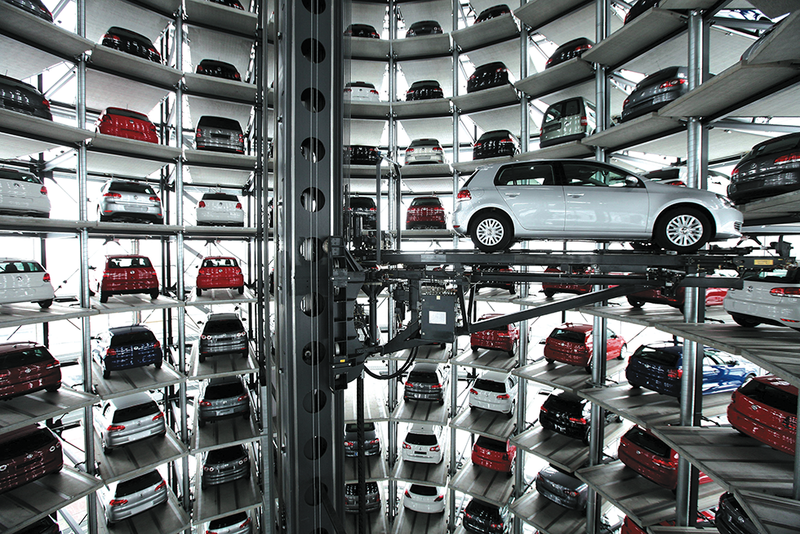 An automated mechanized (elevator type) tower parking system that can be ideally installed in condensed urban areas to provide a quick and reliable solution to parking problems. 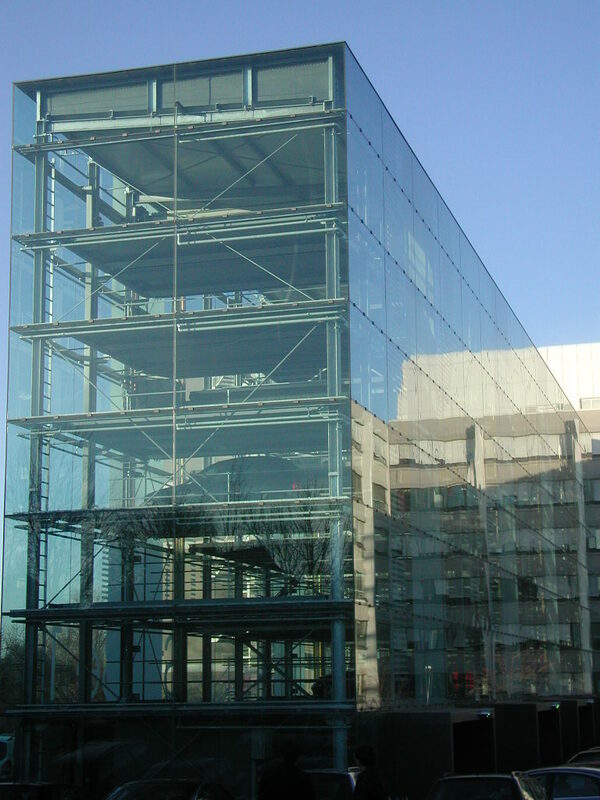 The Ace Parking® System can be set up on various locations and its space efficiency is outstanding. In a footprint area of just 3 traditional car spaces, you can fit up to 60+ Cars! A multi-floor, automated cart type parking system that quickly and safely parks as many vehicles as possible within a confined space. Because the parking facility executes the parking and retrieval of vehicles simultaneously, it enhances spatial efficiency, which makes it a perfect solution for large car-park requirements.